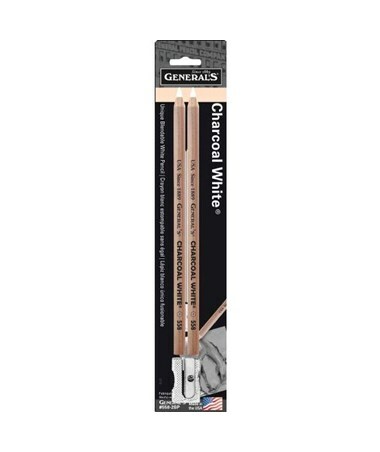 The General’s Charcoal White Pencil is a useful drawing tool ideal for lightening and for use with colored paper. It features a unique formula that works directly over black charcoal. It can also be used for cleaning drawings and erasing mistakes. 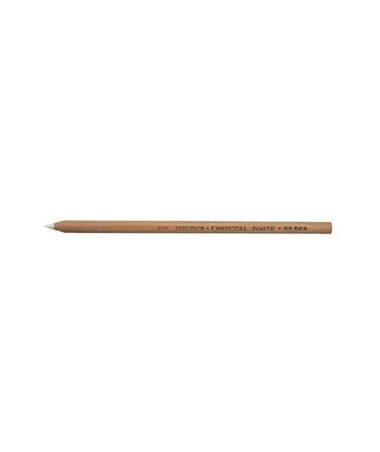 With a pre-sharpened point, it is readily usable for many drawing applications. The General’s Charcoal White Pencil comes in two package options to acccmodate different needs and preferences. It is available in two-pencil or 12-pencil set. Both sets include white charcoal pencils that produce rich, white lines that are perfect for highlighting, lettering, and more. Each pencil is encased in a smooth barrel made of durable cedar wood. It provides solid support to the charcoal inside and allows easy writing control. 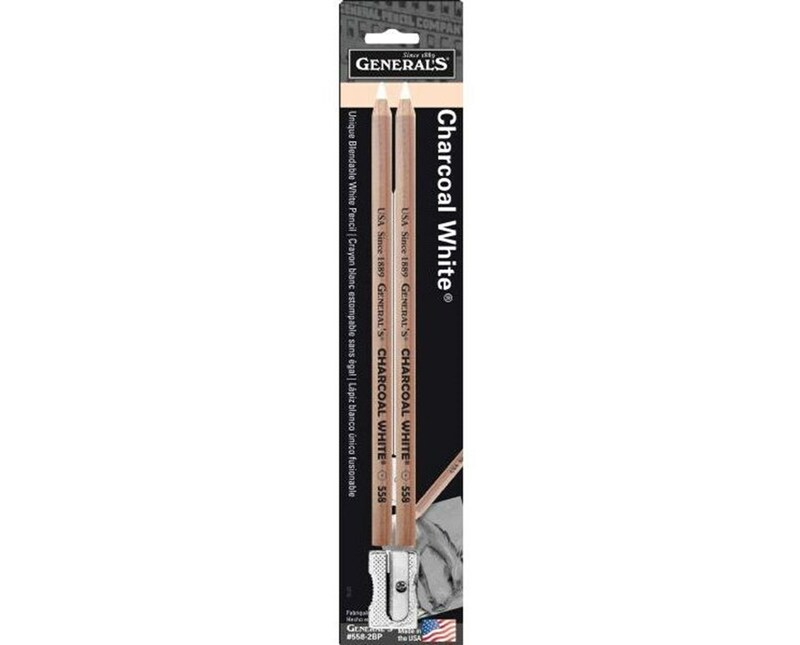 The General’s Charcoal White Pencil comes in two package options. Please select your preference from the menu above. This package includes: 2 General’s Charcoal White pencils and a sharpener.